Almost everyone goes to their family doctor for their yearly physical. You check your blood pressure, heart rate and many other things. You do this to make sure your body is healthy. The same goes for your house. You need to make sure you are doing certain things to maintain your home. After all, things will fall apart if you don’t. The Powell Group wants to ensure you know what to take care of in your house. First of all, test your water. Whether you live in a rural area with well water or an urban area with city-supplied water, you might want to have it tested. 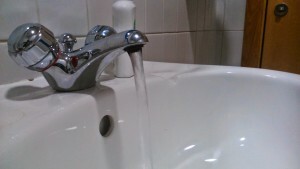 In either case, you could have unwanted chemicals in your supply. To avoid drinking them, you could use a simple filter or – if the problem is bad – talk to your water maintenance company about a solution. Check the humidity levels in and around your house. High humidity can cause mold and mildew to form. You may not think this is an issue. But, did you know that too much can affect your house’s structure? Have it checked with a humidity meter or with a specialist. If the problem is small, you could cool things down with your HVAC system. 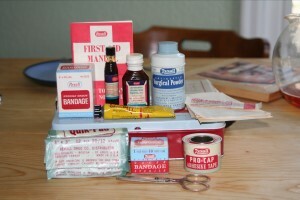 Next, check out your first-aid kit. Although fall is upon us, we still have the potential for major storms and flooding. It is a good idea to make sure you have all the supplies you need before a potential disaster strikes. Even if the power goes out for an hour, you should still be prepared with candles and canned foods. Termites can also become a potential problem. The Powell Group and its team members can help direct you to the best pest control services in town. Getting it done once a year will help save you money and peace of mind later. Lastly, think of the phrase “saving for a rainy day.” While you may experience beautiful weather, nasty things can occur within your house at the least expected moment. Make sure you have the money to pay for unexpected situations. The Powell Group encourages you to invest time and money in giving your house a check-up. It’ll save you a lot of money in the long run. If you are moving to the Western Upstate of South Carolina, log on to our website and look at our beautiful houses. We are sure you will find exactly what you are looking for.